The Geese Chasers custom chopper, "Boomer-1" is taking on a life of its own! Here's the latest coverage and information as Boomer-1 makes it into the spotlight. June 2, 2009 (Mount Laurel, NJ) - It’s probably about as cool as you can get. Custom choppers are specially designed motorcycles with intricate paintings and radically molded chrome. The guys who make them are tough. The guys who commission them are…geese chasers? 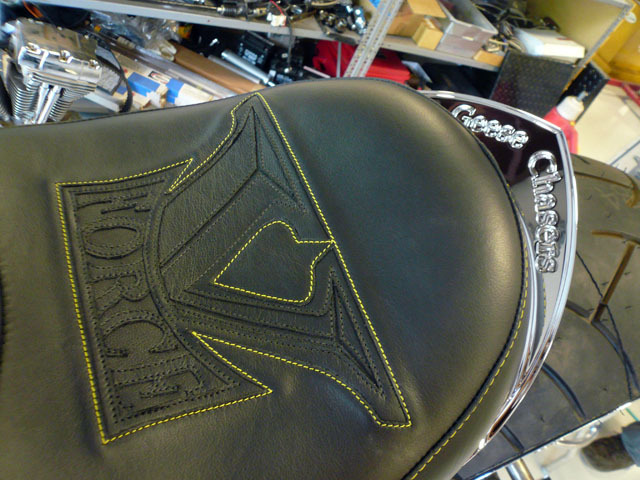 The Geese Chasers custom chopper is lovingly named for the true founder of Geese Chasers, Boomer.